At long last the Android G1 handset, the first such device based on Google’s own mobile operating system, is going to have some company. 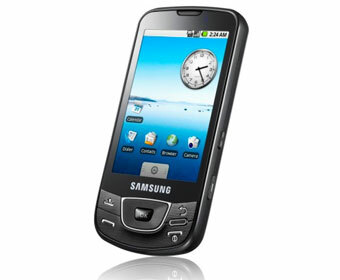 This week, Korean handset vendor Samsung unveiled its first Android-based device – the I7500, which will go on sale in June. The gadget boasts a touch screen display, 5 megapixel camera, GPS, wifi, 3G, and 8GB of memory in a form factor of 11.9 mm thickness. The Samsung I7500 will be exclusively available via O2 Germany from June and can be combined with all tariffs and data packages. The mobile operator, owned by Telefonica, said that the Samsung I7500 kicks off a series of devices designed for the mobile web which will be launched in the next couple of months. The Samsung device will join two other Android gadgets, when the world’s second Android-based handset, the HTC Magic, is pulled out of the hat on May 5, available from Vodafone in the UK. Despite the fact that only one device so far – HTC’s G1, available on T-Mobile – has made it to market so far, Google claims that the platform’s open source strategy is working and the company is aware of many device vendors which are using the operating system.